BBC FRONT RUNNERS … Head Coach Tom Schaper, left, will be trying to guide the Lady Cadets to their seventh straight BBC championship. Despite having holes to fill, including 2-time BBC Player of the Year Becca Miller, Hilltop expects to find themselves battling for another league title come May. In total Hilltop must replace six seniors who were an important part of the program. While this season will be considered a bit of a rebuilding season for Hilltop, they seven returning letter winners and a group of newcomers that hey hope will fill the void. Hilltop will be chasing their seventh straight BBC championship this season, but they will be doing it with a young team. “After the graduation of six seniors, 2019 promises to be a rebuilding year for us. While I am excited about the infusion of new, young talent to the program, we will likely experience growing pains early on as new players learn their roles”, said coach Tom Schaper. The Lady Cadets will rely on the pitching of Kodi Brenner and Maddie Schaper to carry them early on while the new players become adjusted to varsity action. “While we should not be overlooked this season as a BBC front runner, I expect solid seasons from both Montpelier and Edon”, commented Schaper when discussing the overall league outlook. Following a BBC co-championship last year with Hilltop, the Lady Bombers and head coach Hilary Staten will face the challenge of expectations despite having low numbers with just ten players on their roster. Another challenge for Edon will be finding an ace for their pitching staff with the graduation of their top starter last year Shalyn Mason. “The girls are hard workers and highly competitive and we’ll be looking to improve in all aspects of the game as the season progresses”, said coach Hilary Staten, who is entering her 10th season in charge of the Lady Bombers. Brooke Funk is the new coach at Montpelier, taking over for Brad Smith, and the Lady Locos will be expecting to compete for the BBC crown. After placing third in the league last year and missing out on a tie for first place by just one game Montpelier will look to ride the pitching of Sarah Higbie as they try and challenge Hilltop for the top spot in the league. North Central will be one of the more experienced teams in the BBC this year with nine letter winners returning and just one letter winner lost to graduation. 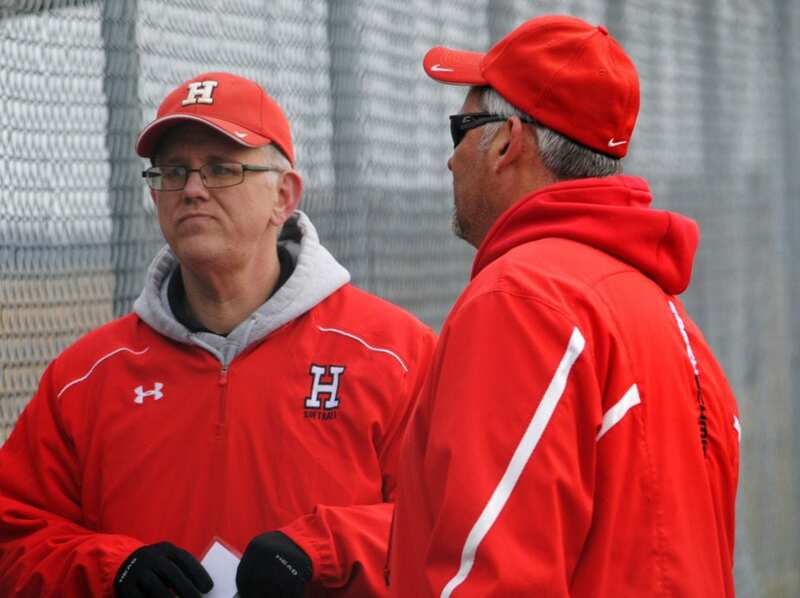 Head Coach Joe Fidler says pitching depth will be a concern this season, but he expects his team to work hard to reach their goals this season. Key Returners: Starr Kessinger-Sr., Mackenzie Morgan-Jr., Kaylee Grimm-So., Elise Hartzler-So., Kenzie Rivera-So. The Pettisville Lady Blackbirds enter the 2019 season with a lot of question marks, namely who will step in for starting pitcher Kyra Behnfeldt who was lost to graduation. Overall, Pettisville will be a small, young, and inexperienced group with many players in positions that they have never played before or have been limited too. After lacking experience entering last season, the Stryker Lady Panthers will not have that issue entering the 2019 campaign. “Last year a majority of our team was very inexperienced in just about every position on the field”, said coach Erica King. “This year we have athletes returning in some key positions and our overall team is more experienced than we were last year”, added King. “We look to improve on our overall team defense by focusing on making the routine plays in the field and working not to give the other team those crucial extra bases. Offensively we would like to improve our overall team batting average and focus on moving runners when they get on base”, commented King when highlighting points of emphasis for this year’s team. Be the first to comment on "Previewing The 2019 Buckeye Border Conference Softball Season"